I've been a bad blogger lately. Much has been going on, but nothing I can explain. I never did do a May goal review and now June is ending and nothing additional has been accomplished. Between working in the yard and on the newest edition of ZnetShows' Creative Spark (should be ready for a reveal this weekend! ), I've just not gotten much else done. Despite June not being quite over, I want to go ahead and just share some of what I did do in the last couple of months before yet another one passes me by. Please remember that there were five goals/tasks I wanted to accomplish each month a Goal, a piece of Jewelry, an altered Card, at least one Blog post, and a Journal page. This post should cover weeks 18-25. . .but I came nowhere close to accomplishing all those weeks or even making up for other ones. Let's start with the cards because they're the prettiest. This was for week 16 (back in April). I simply painted the card blue and stuck on a daisy image that was floating around my craft room. 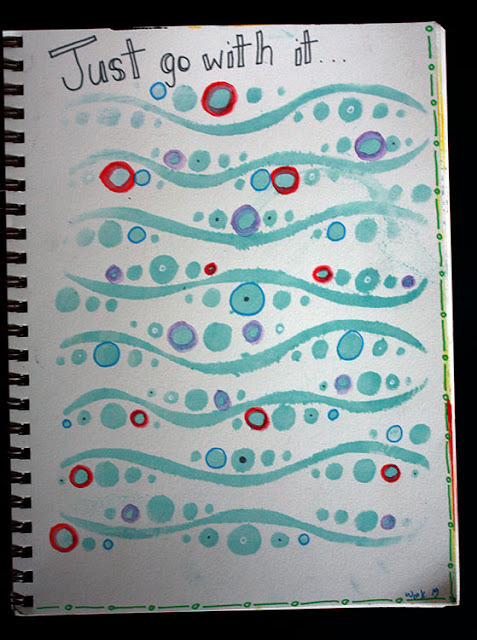 I played with my new Posca paint pens to write the words and draw the dots. This butterfly card was made for week 17 - another make-up. I really love it. 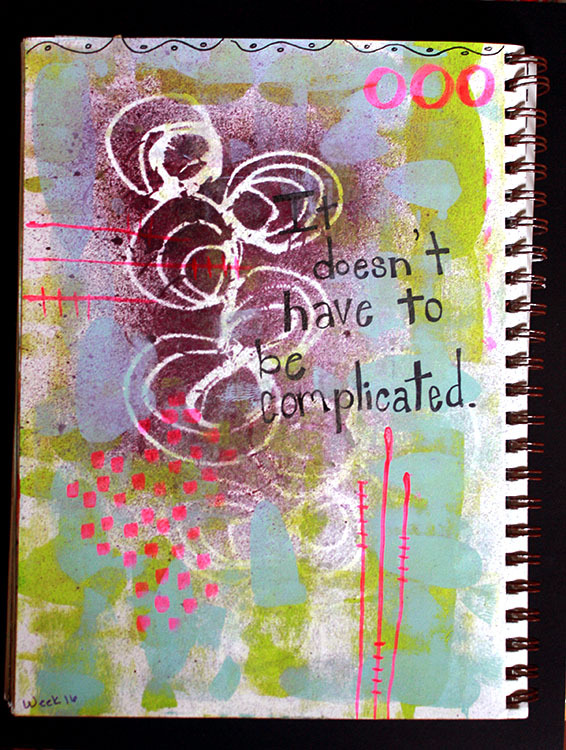 I'm not sure what I used to create the background (sorry) but then used distress inks with a stencil for the teardrops. The butterfly was stamped on some under paper and cut out. A pencil was used to doodle. 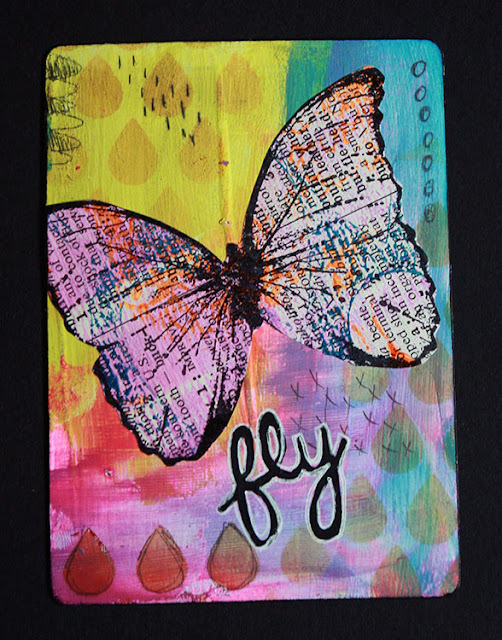 I used a Posca pen to write fly and a gelli pen to outline in white. 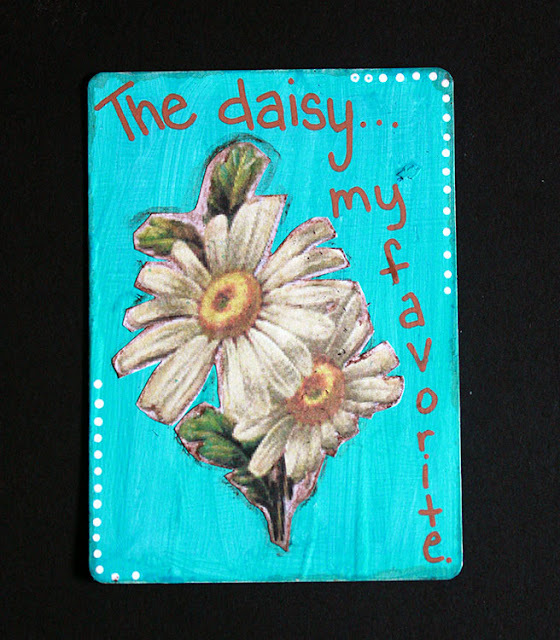 I did another daisy for week 18. This one was stamped on some typed paper and colored with neocolor iis. 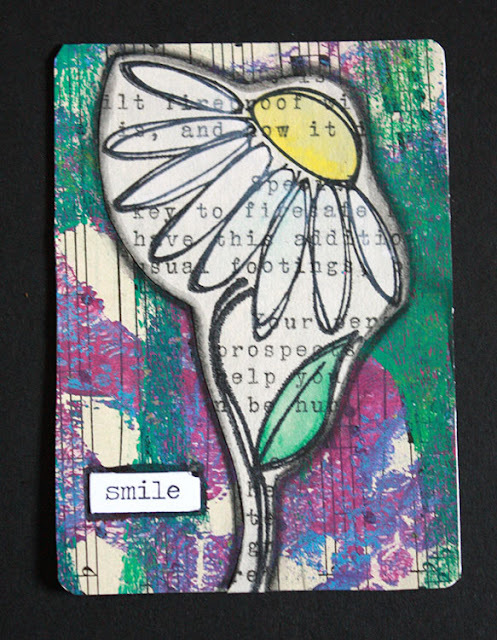 The background was a gelli print and the 'smile' from Tim Holtz's chit chat stickers. I used a stabilo all pencil in black around the flower and word. I barely remember making this Week 19 card. I know I used a bunch of items that were just sitting on my desk: bits of paper and homemade gelli print stickers with some neocolor iis blended on top. A little gesso was added before the "give of your best" book cutout. I circled the words with the stabilo and doodled with a permanent marker, black pen, and white pen. That was all for the cards for the two months. Next . . . um. . .goals. Week 18's goal was to go an art retreat. I totally did that with the Art at the Beach 2016 fun. For week 19, I wanted to catch up on my blog reading. It took me more than one week to get there, but I totally got through my feed reader, deleting blogs that no longer held my interest. Now, I'm behind again. . .Gah! Week 20 I aimed to use Snapchat for my business and fun. I totally did that. Though, the last week or so I've fallen down on using it as much. You can follow me if you want. I'm CraftyHope of course! I wanted to cover my mannequin and some other displays for week 21, but that hasn't come to fruition . . . yet. For week 22, I had hoped to learn to cut stencils on my silhouette cameo. Again, I did not. 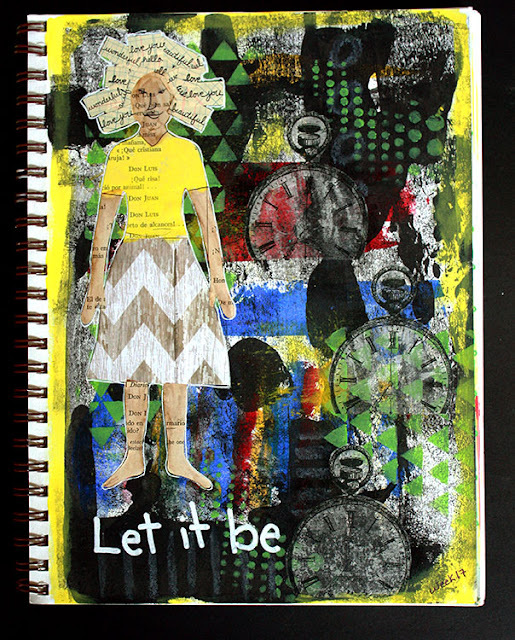 Week 23's goal was to create a file of focal images for art journaling. Nope. they're still all strewn about. Week 24 & Week 25's goals had to do with Grand Assembly (for the International Order of Rainbow for Girls - I'm an advisor and their state convention was last week.) I did accomplish those, I had to. That sums up May and June's goals for the most part. I now have a long list of goals to catch up on, and catching up is one of the goals I have to catch up on. Such a catch 22!! I did get a few pieces of jewelry made. Some of them you'll see when I reveal the e-magazine. I'm counting those as week 20's jewelry. 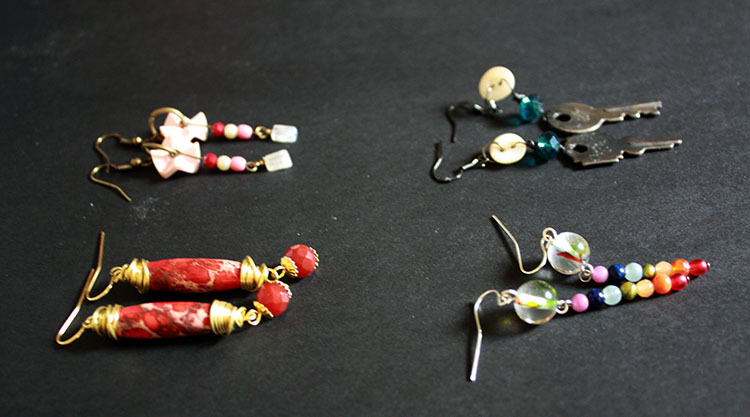 For week 17, 18, 19, & 21; I got these earrings made. They're not much, but I was happy to be creating SOMETHING!! Now. . .blog posts. . .eek! This is my first post for ALL of June. How is that even possible? May was a little more successful. I really, really do want to get back on track with my blog posting. I miss y'all!! For now, let me just finish this post. The last weekly task was to get a journal page done. Being on the art retreat really helped in that respect. However, I haven't really done any more since then. What a cryin' shame!! Here are the ones that did get completed. 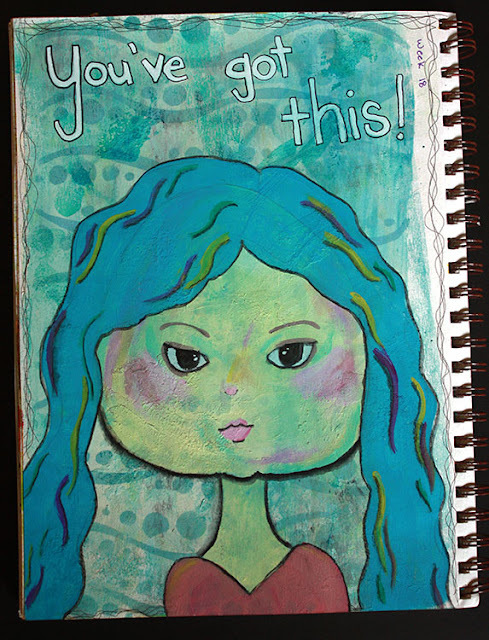 This one (Week 16) was made with just playing with some paints and supplies at the retreat and then a little reminder for myself. I think I totally needed to see that right NOW. Week 17 was a whole lotta playing with paints and materials. It's kinda dark, but I dig it. For week 18, I played with having just learned to draw a face. I really just left it at that. Week 19 was the last page I got made. I used it as an opportunity to play with my new posca pens and neocolor iis. It's WAAAAYYYYY simple, but it's done at least. Now I need to catch up on everything I've been neglecting. Right now, one of the nieces is over for about a week or so while we take vacation. She wants to make some art and play outside and I'm right there with here. Maybe I can get some of these other tasks accomplished, but I won't hold my breath. Thanks so much for bearing with me in this LONG absence. I do apologize. I really don't know where the time goes sometimes. So, we're halfway through the year. How are you doing on your goals and resolutions? Be honest, I'm not the only one who's behind am I? I just love your creativity! 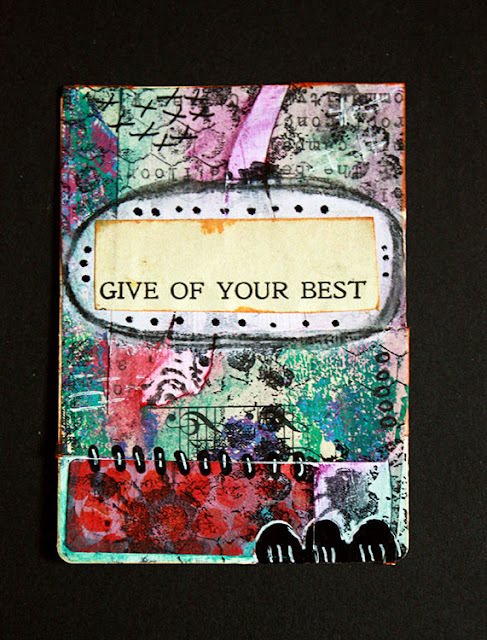 I wouldn't know when and where to stop in creating those cards or journal pages. You are so much braver than I am. I'm always holding back. I really love that butterfly!! Lorraine, Sometimes I don't know where to stop. That last card was a trainwreck! But, at least it gone done. YOU? Holding back!? I dunno. . .those magnets and mini canvases you are creating are AMAZING! They're definitely something I've considered doing too, but something seems to be holding me back also. I think we both need to stop being so hesitant and just jump in! Oh, and I'm so gld you like the butterfly. That one's my favorite too. Nope you aren't the only one! Welcome to the band wagon..lol. Getting the Creative Sparks magazine done is a huge accomplishment. Give yourself a lot of credit for that. It is a huge amount of work and it looks and works great. Congrats on that! Summer is here only a short time and it needs to be enjoyed. Have a great 4th! Kathy, You are too kind. Yes, the magazine has swiped much of my time, but I'm glad it's done. It's always so nice to see the fruit of my labor like that. I've already started vacation as one of the nieces is here for the next week and I do hope to enjoy my time with her as well as her sister when she gets here in a few days. Here's hoping you have a great 4th also as well as a wonderful summer!! One of the shortcomings of goals is that even when you have completed a lot, it doesn't count if it wasn't on your goal list ;) Like I said before, you have to be proud of yourself for setting goals - I did, too, but just whispered them to myself and, of course, it didn't work. I have slowed down on my goals tremendously and don't even dare hope that I might compensate in July. We'll see. You are definitely not the only one. My blog lately has been a bunch of book reviews with a tiny bit of jewelry. Just started my vacation which is going to be a stay at home one with lots of time to create. I loved this round up of your goals and seeing your results!! Personally, I didn't really have any goals this year, but I keep saying I just want to blog more and I'm trying really hard to stay on top of blogging and reading blogs!! 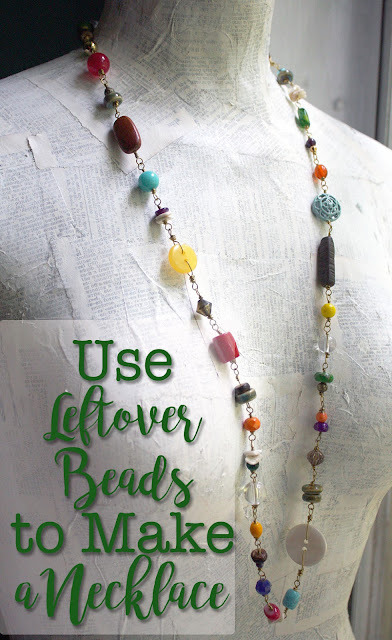 And I need to seriously catch up with some Bead-it-Forward stuff!! I really love the altered playing cards and may have to jump on that train and give it a try. And this posca pens look amazing. Enjoy your time with your nieces! !